I wanted to write this today because we have this stuff popping up all over. I happened to look it up and was surprised… because my horses will happily eat it. They don’t turn up their noses. So, best to keep them away from it. As pasture growth begins to wane in many areas, horses might begin seeking different things to chew on, such as weeds or trees in their pastures. While some weeds do no harm, others can be toxic to horses. And researchers in Australia determined that marsh mallow weed (Malva parviflora)—which grows in Europe, Asia, North and South America, Australia, and New Zealand—is one of the dangerous species that can be deadly to horses. Reports of M. parviflora toxicosis are rare in horses. But Jennifer Bauquier, BVMS (Hons), Dipl. 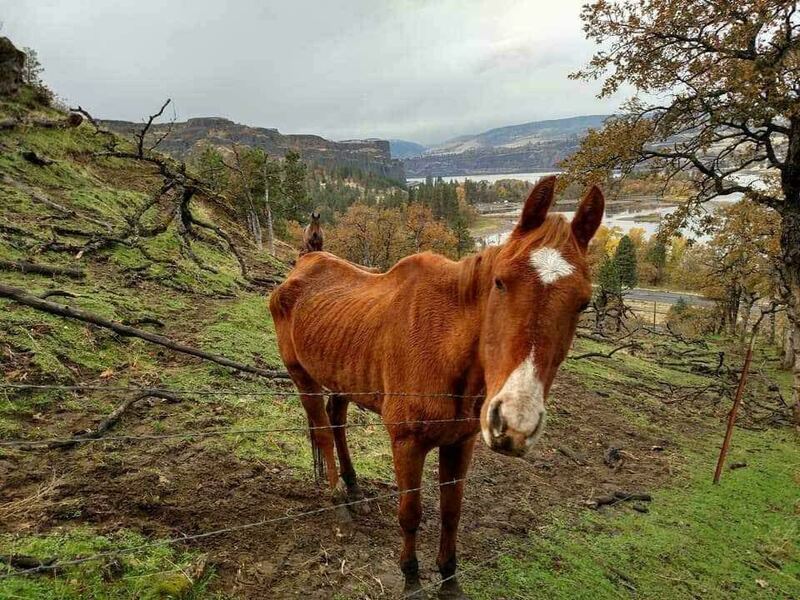 ACVIM, an equine medicine lecturer at the University of Melbourne Faculty of Veterinary and Agricultural Sciences, in Victoria, and colleagues recently completed a study on the topic after the deaths four horses residing on the same farm. The horses had little access to quality forage and did not receive supplementary grain concentrate. There was extensive M. parviflora in the horses’ pasture, and the animals had grazed it heavily. Over four days, all four horses presented with signs of muscle twitching, recumbency (inability to rise), tachycardia (high heart rate), and sweating. Three of four horses were euthanized, and one died soon after clinical signs appeared. Similar clinical signs in other species, such as sheep, have been blamed on M. parviflora, but the specific compound in the plant responsible remained unknown. In the cases of these four horses, researchers measured high serum concentrations of cyclopropene fatty acids, found in M. parviflora, compared to control samples, suggesting a link between the compound and clinical signs. As such, the researchers believe the weed was behind the horses’ acute myopathy and cardiomyopathy. “This was a tragic situation with the loss of all four horses,” Bauquier said. “However, from this we have gained some valuable information on how this weed is likely toxic for horses and other grazing animals. “More studies are needed to further understand this toxicosis, but we are now in a better position to perform this work,” she added. MARCH BUCKET FUND!! 8 MINIS NEED TRANSPORT to safety ! 2 DWARFS, A PREGNANT MARE, her SWEETHEART, AND 4 BABIES! click here for their story! 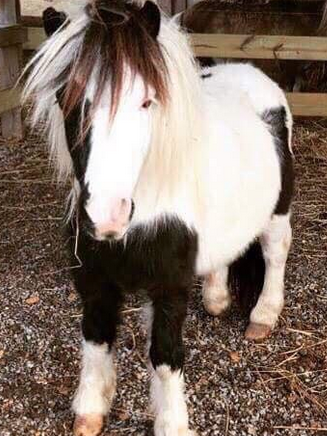 WE ONLY NEED $135 more to set them free to California and new homes! Click here to donate! THANK YOU!!! Should you use Beet Pulp Pellets or Shreds? (I do.) Here is an educational webinar (graphs and voiceover) all about BEET PULP. IF YOU WANT TO DECIDE ABOUT IT, THIS SHOULD HELP! Well, today I have an actual educational deck on beet pulp pellets/shreds. You can click on it and fast forward over whatever you already know… to get to the meat of it. WHAT ISN’T IN THIS WEBINAR – No affiliation. The webinar was created by Standlee. I have absolutely no affiliation. I wish I did because I have been very impressed with their products. Clean. I use them every day. Anyway, you readers have asked me if chemicals are used to extract the sugar from the beets. So, I asked Standlee. I was told that with Standlee Beet Pulp Pellets/shreds, they only use hot water to extract the sugar from the beets. No chemicals, ever. 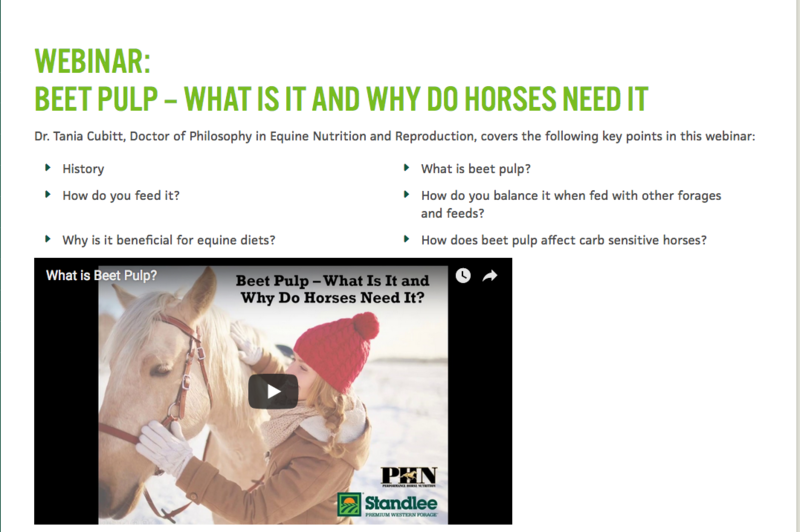 WEBINAR (graphs and voiceover) ABOUT BEET PULP FOR HORSES. Click image to go to the video of the webinar. Click image to go to the video of the educational text on Beet pulp! ANOTHER HUGE WAY TO HELP!!! YOU NEED A 2018 CALENDAR, RIGHT?! 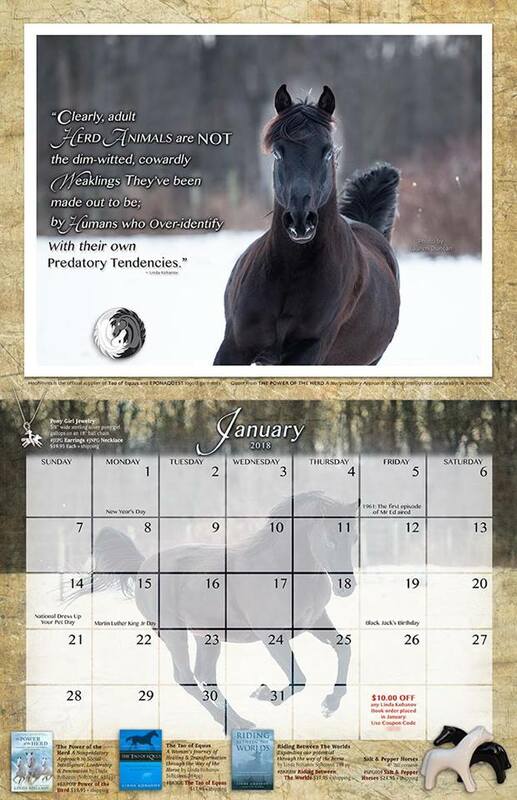 BUY ONE OF THESE BEAUTIFUL, COUPON-FILLED CALENDARS FROM HOOFPRINTS – ONLY $14.95!! – The Bucket Fund receives $10 per calendar purchased!! That is HUGE! This is an awesome gift from Hoofprints.com! They’ve ordered 200 calendars to gift to Horse and Man for the Bucket Fund. If you purchase a calendar via this link, $10 will go towards the Bucket Fund directly! Isn’t that incredible? And, SHIPPING IS INCLUDED! SO PLEASE, buy a few calendars and we will see a direct benefit in the Bucket!